Once your housing situation in Germany is finalized, the first thing to do is to get the phone ringing and your Internet access established. You'll discover that there is a wide selection of telephone, Internet and mobile phone options available, but you may also find that most German carriers are best equipped at serving their native, German-speaking population, leaving somewhat of a gap in the area of English-language support. To break through the language barrier, you may want to consider contacting a provider or agent that offers service in English. German telephone service is Mobile Internet connectivity is widely available available through dedicated stores located in most towns and cities throughout the country. In addition to the Deutsche Telekom stores, there are many other providers that have retail locations that can help you with land-lines, internet access and mobile phones. These include Vodafone, O2, E-plus and others. Your bills, correspondence and customer care will normally be in German. It's important to be aware of the terms and conditions of your service agreement. Many German phone and Internet plans are only available with an initial 2-year minimum contract, and also require that you cancel months in advance in order to avoid an automatic (and binding) contract extension. Public telephones are widely available however most of them are no longer coin operated; you will need a phone card. The cards are available in various denominations at post offices, filling stations, supermarkets, and most newsstands. There are two general types of phone service in Germany: a "standard" analog phone service, and ISDN (Integrated Services Digital Network). Each type of phone service has similar tariffs that allow you to choose the best plan for your type of use. Discounted and flat rate domestic and international calling plans are normally available. Features such as caller-ID, call forwarding and voice-mail are standard features with most carriers. DSL is possible with either an analog or ISDN line enabling you to surf the web and use the phone at the same time. ISDN phone service utilizes digital network technology to add more features and flexibility with two digital phone lines and a total of three different telephone numbers. 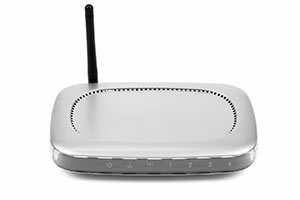 This allows two separate phone conversations at the same time, which may be ideal for larger households or a home office that needs a dedicated line and number. On the other hand, the basic monthly fee is typically higher, and ISDN telephones and modems are somewhat more costly than their analog counterparts. Before selecting either analog or ISDN, you may want to first check with the homeowner to find out how the house or apartment is wired and if there are any special requirements that could lead to additional costs. Many German homes only have only one telephone outlet. Cordless telephones or routers may be the best solution, offering the greatest flexibility in nearly any housing situation. When registering for your telephone service, make sure that you know the complete address. It is very useful to the activation process if you provide the name and telephone number of your home's previous tenant when possible. Do request a fully itemized bill at the time of sign-up, as this is not always the default for many German service providers. Activation times can vary, taking between 5 to 14 business days. Your telephone number and date of activation will be confirmed in writing. In some cases a technician may require access to your home to activate your telephone and additional installation charges may apply. If you have several German TAE telephone outlets in your house, do not be surprised if only the single primary-outlet is activated. The internal wiring of your home is not part of the standard German service agreement and you may incur extra charges if requesting "additional installation." It is best to work with the property owner or have a private installer customize your home's wiring. Take the time to fully assess your requirements, and the costs, beforehand. To cut down on costs more, and more telephone companies are now offer the opportunity for customers to get their monthly bills via email as pdf files. Many still send phone bills through the mail. (In fact, some of the companies may charge you extra to get paper copies of the bill by mail.) Payment is typically due within seven business days of the date of issuance. Cash payments can usually be made at any German post office or bank - a nominal fee for the Überwiesung (bank transfer) may apply. The default and preferred payment method is to have your monthly bills automatically debited directly from your bank account through a Lastschriftverfahren. If you are going to be here in Germany for more than just a visit, look into German mobile phone service sooner rather than later - international roaming through your home carrier can be expensive. This is especially true if you have any sort of data plan in addition to the regular calling and SMS services. Mobile Internet connectivity is widely available and Germany has many mobile phone providers that offer a wide array of devices that are available both prepaid (pay-as-you-go) and with annual plans. With the increasing and widespread use of Smart Phones and SIM card capable tablets, many providers are offering flat rates for data, calls and text messaging. There are dozens, if not hundreds, of different permutations of plans. It pays to shop around and it is important to make sure that all of the details are examined closely to make sure there are no hidden charges in the plan you may choose. 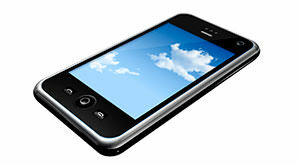 Inbound mobile calls while in Germany are free of charge. 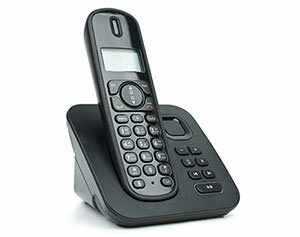 As a result, calling a mobile phone may be more expensive than a landline since the caller pays for the cost of the connection. In Germany it is against the law to use a mobile phone while driving, so be sure to use some sort of 'hands-free' device. Dial-up or "narrowband" Internet connectivity is extremely slow and inefficient, although it may still be a viable solution for very light or infrequent users or for those unfortunate enough to live in an areas that is not yet wired for high speed connections. There is very little if any investment or start-up cost. All you need to get online is an active telephone line, a 56K modem which is still a standard built-in on even the newest computers, and an Internet access account. Your Internet account consists of a username, password, and a telephone number as issued by your Internet service provider (ISP). Dial-up in Germany is metered on a time basis - a dial-up flat rate is not usually available. Plans are available with a monthly fee that normally includes a defined amount of minutes or hours every month, unused time is usually not carried over. There are also plans without monthly fees but the per-minute price is typically a little higher. Dial-up over an ISDN phone line is somewhat faster than with a standard phone line, but requires the use of a compatible ISDN modem. If you know that dial-up is not for you, then one of several high-speed DSL plans can be considered with download speeds of between 1,000 and 6,000 Kbps being the most common and readily available in most areas. Germany's DSL network is under constant improvement and expansion, however there are still some places where DSL may not be technically feasible. On the other hand, there are an increasing number of carriers that are building infrastructure that allow DSL connections of 16,000 to 50,000 Kbps. If broadband connectivity is an essential part of your work or private life, check the availability before buying or renting a home. Unlike dial-up, DSL is normally available with a flat rate. Therefore you can leave the service "always-on" as the separate connection leaves the phone line free for calls. Required hardware includes a Germany compatible DSL modem. A separate DSL activation charge normally also applies. However many companies nowadays do offer package deals with activation and hardware discounts but normally only in combination with a service contract of 1-2 years in duration. Internet access does not have to be restricted to your home. Germany has Internet cafes and thousands of wireless Internet "hotspots" - many of them free-of-charge. Aside from airport terminals, hotspots are also available at hotels, gas stations, bars and restaurants. Locations are always subject to change, so do a web search to find a current list of locations near you. 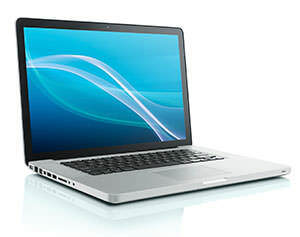 WLAN enabled laptops and mobile phones can be used in the hotspots. An increasingly popular method of being connected on the go is through the use of USB sticks sold by various providers. These sticks allow the user to connect to the Internet using any number of mobile services. Rates and speeds vary according to the provider and the users location. Choosing the right telephone service provider and Internet plan is important. Many of the Internet "bargains" that you see advertised may have some major drawbacks if you read the German "fine print." Some providers bundle flat rate DSL along with phone service, but many then charge more for phone calls for example. Pre-selecting an alternate carrier and using calling cards may not be possible. Package deals with free hardware and activation can save you money but most require a two-year minimum contract and early cancellation fees may apply. Before signing on the dotted line, check the terms and conditions and find out the costs for early cancellation. Look for plans that are flexible and find out if there is any English documentation or technical support. Given the constantly changing nature of the telecommunications marketplace, pinning down and recommending the exact Internet or data plan for every type of user at any given time is not possible. To establish your phone and Internet connection here in Germany, first try to define your household's phone and Internet budgetary requirements, and then look for a service that is easy to use and compatible with your particular needs. The country code for Germany is 49. When dialing a German number from abroad, drop the initial 0 from the local area code. (Area codes can have from 3 to 5 numbers, depending on the size of a city or town - the larger the city, the shorter the area code number). For example, if the number you are calling within Germany is 0611-XXXXX, it can be reached from the states by dialing 01149-611-XXXXX. Mobile phone numbers in Germany normally begin with 015, 016 and 017. If you don't know a number in Germany you can get it on the web at no cost at www.teleauskunft.de with instructions in German, The inland information number (in German) is 11833. You can also get an English-language information service by dialing 11837, but its best to use the print version of a telephone book or the internet if you can. A call to both these information numbers will cost you at least €1.99 per minute from a landline and possibly more from a cell phone. But, there are advantages to doing it this way. The information people will, if you wish, connect you immediately with the number you seek. That's especially useful to somebody who's using a cell phone or doesn't have a pen or pencil handy. You can get numbers for outside Germany by dialing 11834. This international information service is also set up to handle things in English. But such a call will also cost €1,99 a minute from a landline and possibly more from a cell phone. You can also get the information services of other countries online.